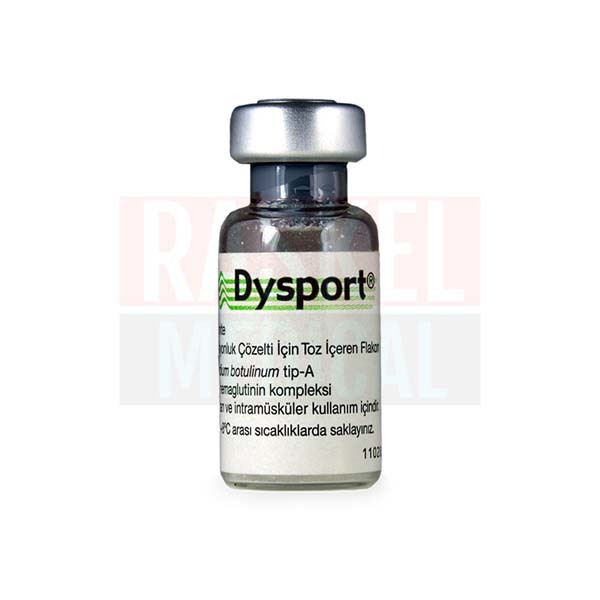 Buy Dysport Vials 500 Units Vials Online - Best Prices Here! 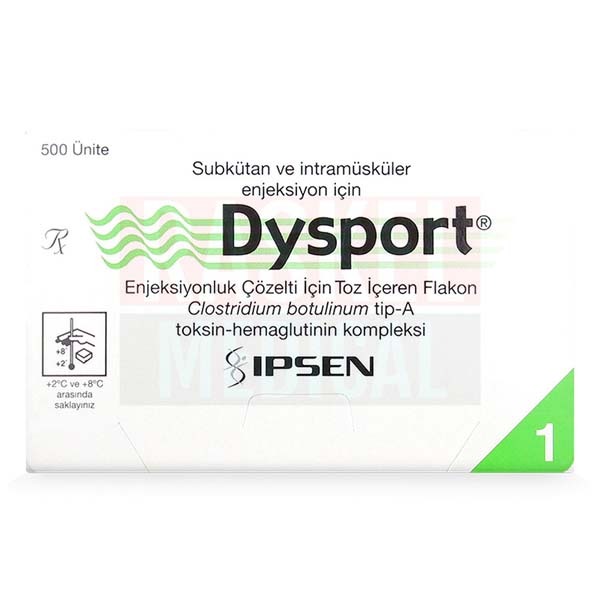 Where can I buy DYSPORT® 500U? 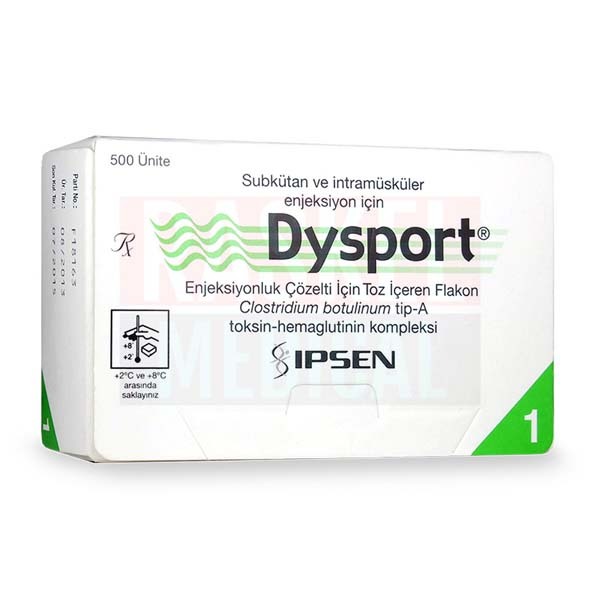 You can order DYSPORT 500 Units on this website or phone one of our knowledgeable customer service representatives who will be glad to help you. At Raskel Medical, you will always receive authentic cosmetic products at wholesale prices. In addition to our safe and secure online ordering process, you benefit from our 100% satisfaction guarantee. Order now to receive the best bulk price for the cosmetic products you need. Helps fight frown lines between the eyebrows, cervical dystonia, or limb spasticity. Minimizes lines, not facial expressions. 97% of patients surveyed said they would gladly repeat the treatment. 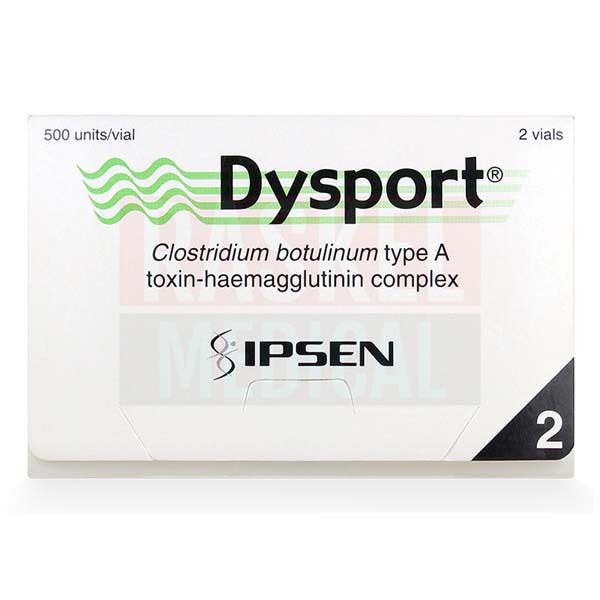 Active ingredient: Clostridium botulinum type A toxin-haemagglutinin complex. Inactive ingredients: Lactose and human albumin. Botulinum toxin: A neurotoxin that helps paralyze muscle movement to reduce spasms or to reduce the look of wrinkles caused by facial expressions. Draw sterile, preservative-free, 0.9% sodium chloride into syringe. 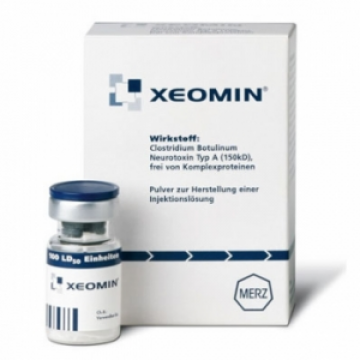 Dilution will depend on treatment indication; refer to product leaflet for details. Clean vial's rubber stopper with alcohol. Insert saline solution into vial through rubber stopper using a 23 or 25 gauge needle. The vacuum seal should draw in most of the solution; if there is no vacuum seal, dispose of the vial. Swirl vial gently to dissolve powder. Verify solution is clear, colorless, and free of particulate matter. Expel air bubbles from syringe. Remove the needle and attach a new sterile needle. 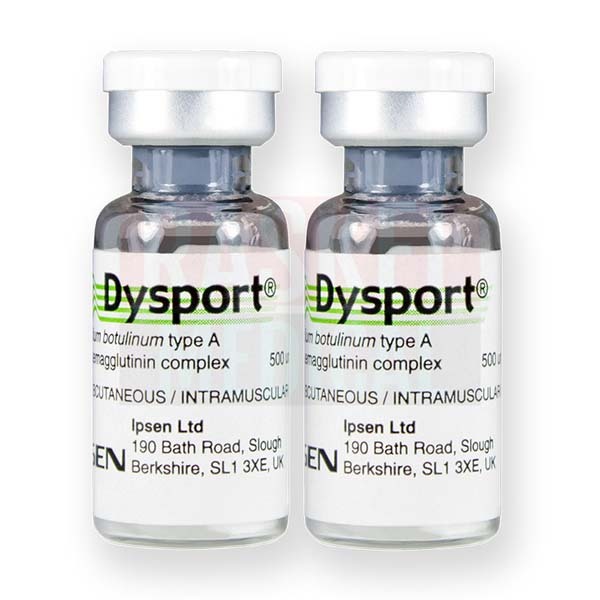 Inject appropriate amount of botulinum toxin subcutaneously into affected muscle. Properly dispose of any unused solution and used needles, syringes, and supplies. 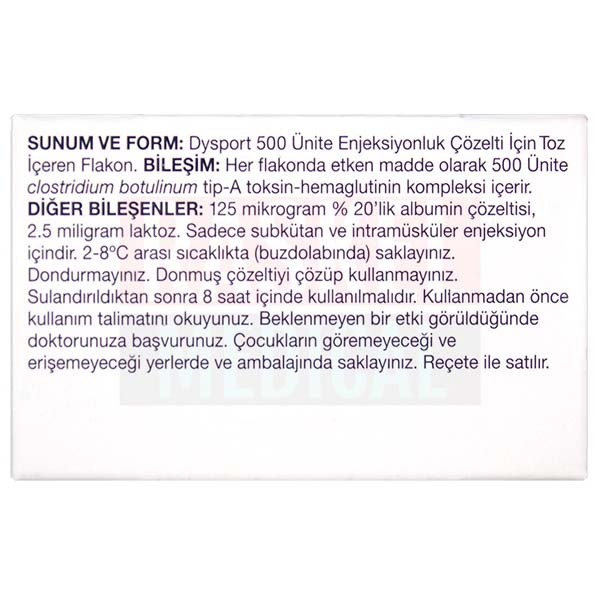 Do not use if patient is allergic to any of its ingredients or other botulinum toxin brands. Use caution when treating pregnant women; use only when benefits outweigh the risks. Do not treat breastfeeding women. Do not treat children under the age of two. Do not inject patients with generalized muscle activity disorders, such as myasthenia gravis. Do not inject patients with bleeding disorders. 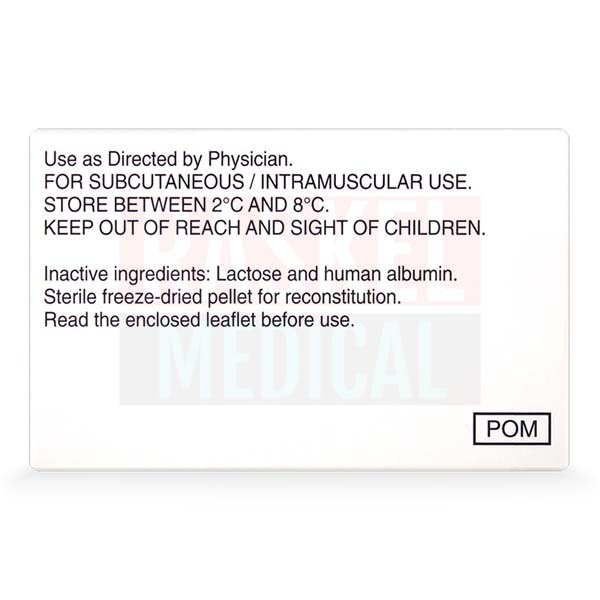 Since this product contains human albumin, a blood product, there is the theoretical risk of transferring infections. If patient experiences muscle weakness or vision problems after a treatment, they should not drive or operate machinery. After injection, inactivate any remaining solution in vial or syringe using dilute hypochlorite solution. Clean any spills using absorbent cloth soaked in dilute hypochlorite solution. 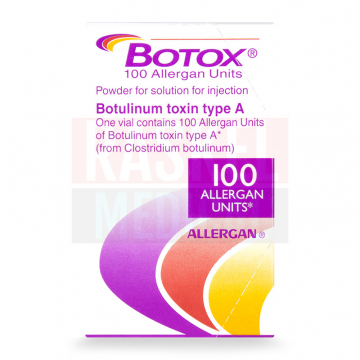 Units of different botulinum toxin brands are not equivalent. Patient should tell their doctor immediately if they have problems with swallowing, breathing, or speech, or have symptoms of an allergic reaction like swollen face, lips, tongue, or throat, skin redness, or urticaria (itchy, lumpy rash). These may not be all the possible side effects. Refer to product leaflet for more information. DYSPORT® 500U is a 500 unit vial of botulinum toxin type A, in the form of a white powder. The neurotoxin is produced by the Clostridium botulinum bacteria and acts on muscles to help relax the look of wrinkles or to treat muscle spasms. Inject this neurotoxin into the muscle beneath a wrinkle to help paralyze that muscle. Inject this botulinum toxin no more often than every three months, but after three months, use when needed next to maintain the wrinkle relaxation. 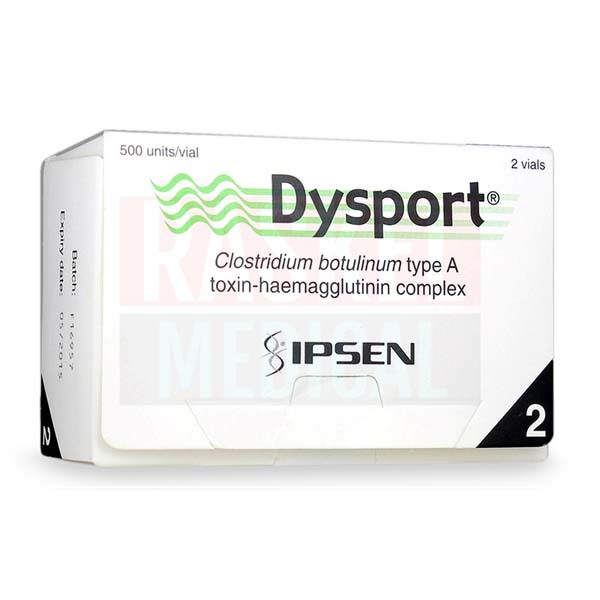 Why do doctors use DYSPORT® 500U? 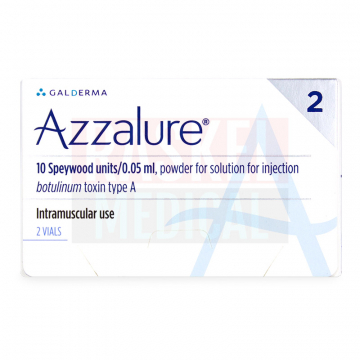 Plastic surgeons, dermatologists, or other doctors may use this neurotoxin to treat wrinkles caused by muscle movement, such as glabellar lines between the eyebrows. Neurologists, ophthalmologists, and other doctors may also use this botulinum toxin to treat spasmodic torticollis (also known as cervical dystonia), arm spasticity or pediatric cerebral palsy spasticity (muscle stiffness that affects movement), hemifacial spasm (facial twitching), or blepharospasm (eyelid twitch). 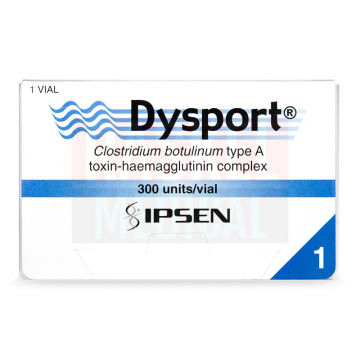 How does DYSPORT® 500U work? This injectable is a natural neurotoxin that blocks the release of acetylcholine, which normally sends a signal from the nerves to the muscles to cause movement. There are muscles the body uses for facial expressions, and as these movements are repeated, creases may form at the skin's surface. Using a botulinum toxin to paralyze these specific muscles can relax the look of the skin, making creases less visible. Similarly, in other medical applications, temporarily preventing muscle movement can calm muscle twitches. Do not combine with aminoglycoside antibiotics or spectinomycin. The effect of combining different brands of botulinum toxins is unknown. How do I store DYSPORT® 500U? Store unopened vials in a refrigerator, between 2° and 8° C. You can store the reconstituted product for up to 8 hours in a refrigerator, between 2° and 8° C, before use.